Like always, Entertainment Weekly will have a series of articles about the film over the course of this week, but to kick off their coverage, they provide a little more details about the story of the film, and about some of the new characters we will be seeing. The filmmakers describe it as a Western crossed with a film noir, freighted with offbeat humor and set in the criminal underbelly of a galaxy being torn apart. 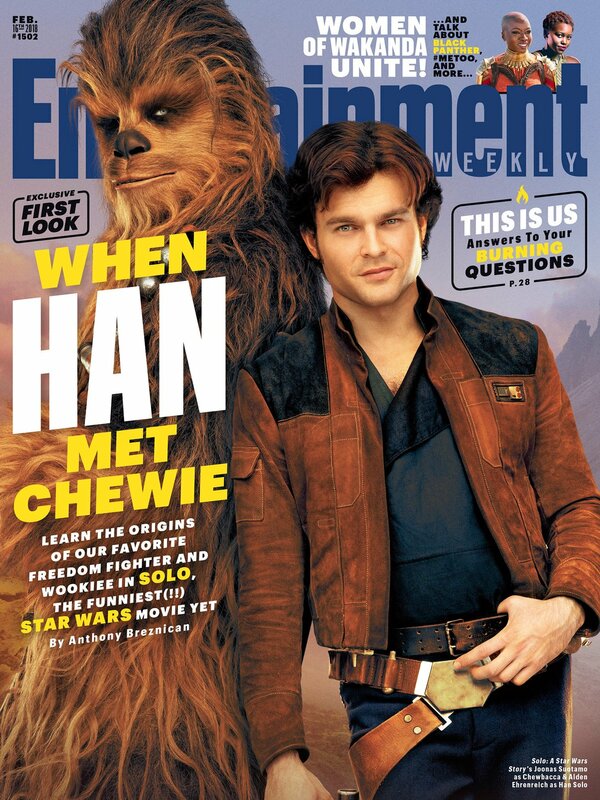 Be sure to check out the full article on “Solo: A Star Wars Story” over at Entertainment Weekly, and more details and images to come over the next few days! I’m so keyed up, now, for this movie! I wasn’t so sure, before. Now, I can’t wait to see it! The trailers and articles have me speculating all over the place!